4 payments of $80.16 to be paid over the next 4 months (1 payment due each month) to pay the remaining balance. Shortly after the release of the SilencerCo Sparrow, it grew in popularity tremendously fast. 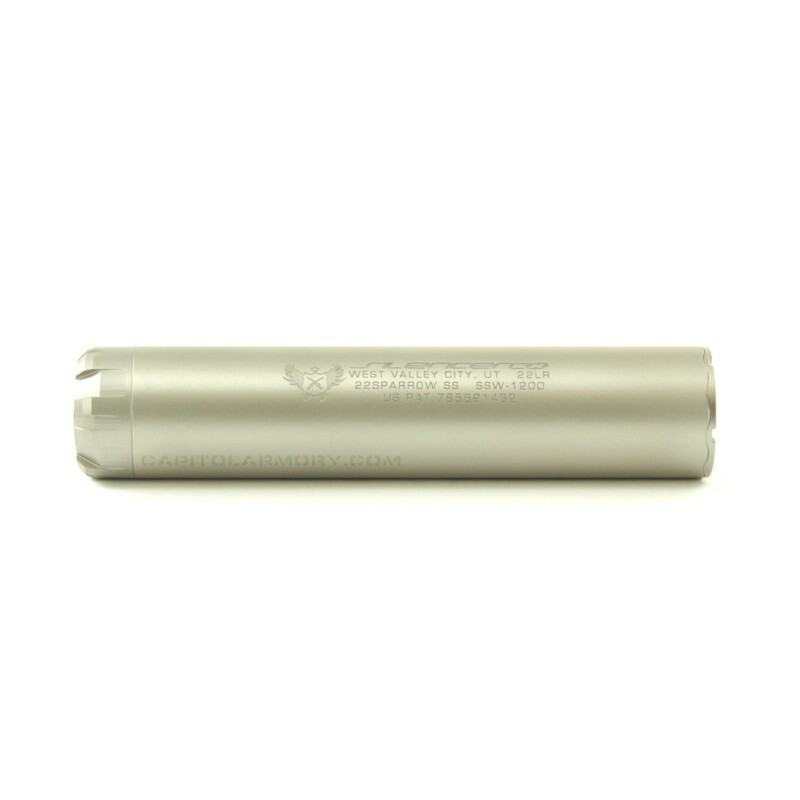 Being shorter, easy to clean, and providing great decibel reduction made the Sparrow the most desired suppressor on the market at that time. Although it's no longer the latest innovation, it still retains the qualities that made it so popular. The ease of cleaning still attracts many high-volume shooters. The Sparrow can quickly be cleaned without dealing with baffles stuck together from lead. 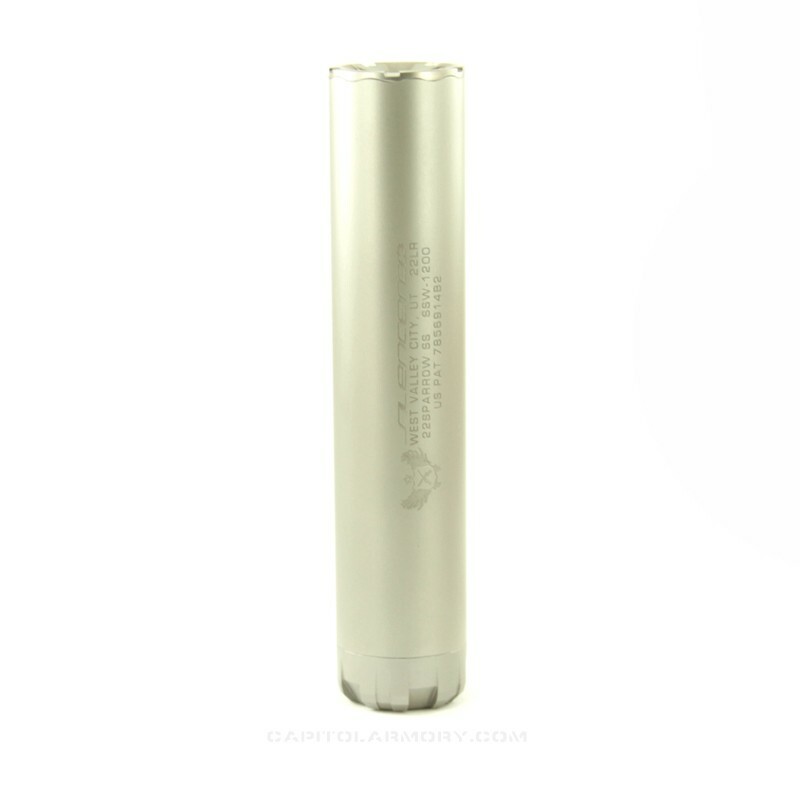 The SilencerCo "White" Sparrow 22 suppressors is a limited edition version of the standard SilencerCo Sparrow. The White Sparrow as a polished satin stainless steel finish. Both the Sparrow 22 and the White Sparrow focuses on simplicity, durability, and user serviceability. Using a monolithic core at the heart of the patented Multi-Part Containment (MPC) system, the SilencerCo Sparrow 22 can go 2,000 rounds between cleanings. 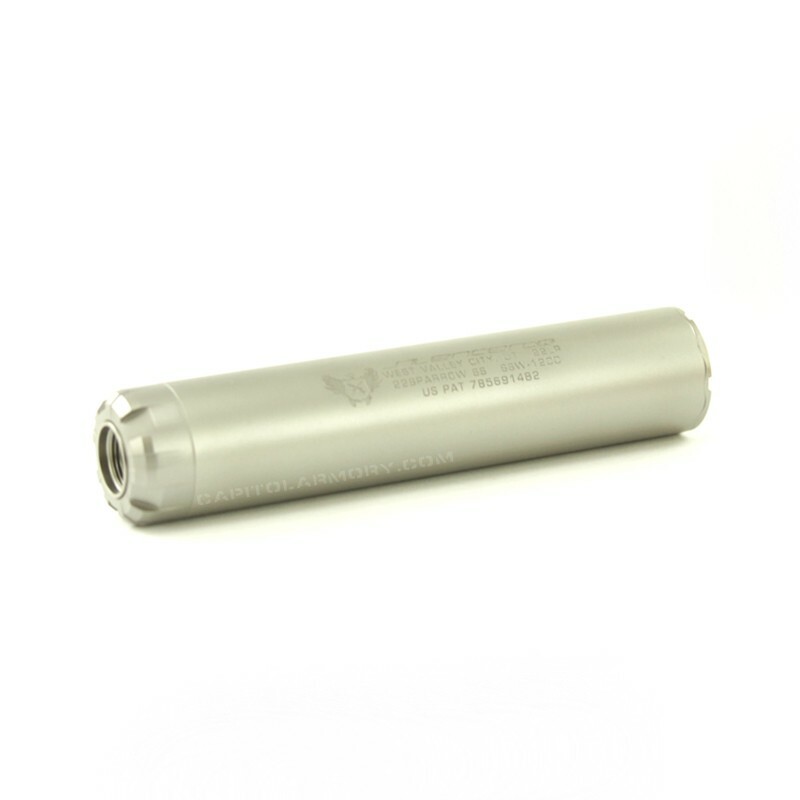 Even when extremely dirty, the Sparrow 22 is the easiest rimfire suppressor to clean. The Sparrow 22 is rated for full auto fire and multiple calibers up to 5.7mm. 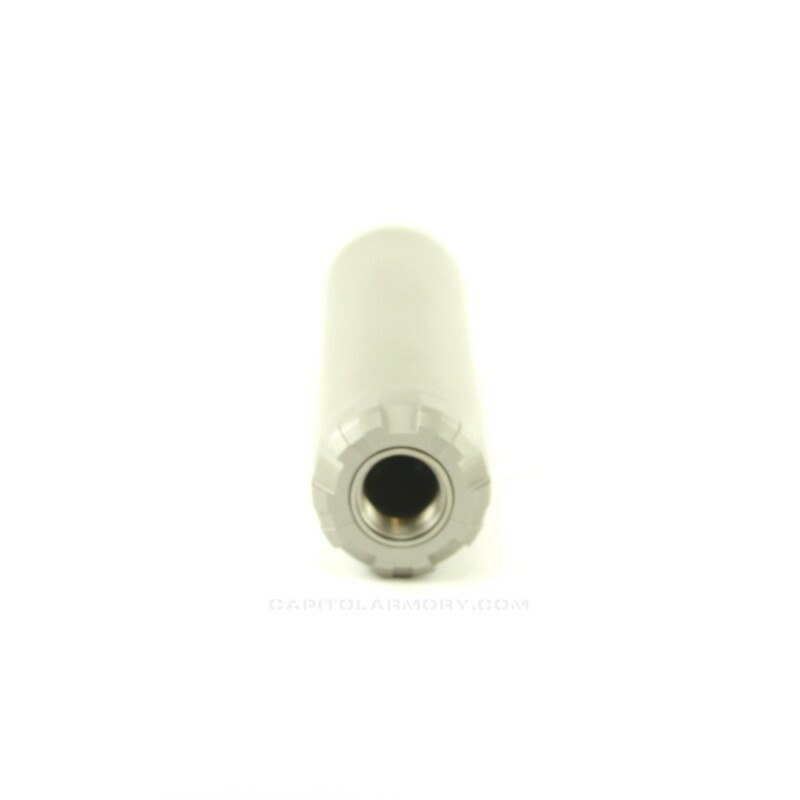 This product includes one 1/2"x28 Rifle Thread Spacer.